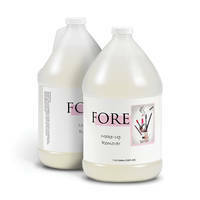 Ronkonkoma, NY, March 5, 2019 – Qosmedix is pleased to introduce Fore Naturals Make-Up Remover (Part # 93532) to their comprehensive line of beauty supplies and facial cleansing products. This refreshing formula contains a gentle blend of aloe and plant extracts that removes makeup in one easy step, while also replenishing the skin. The large gallon size is convenient for use at makeup counters, beauty schools, spas, salons and more. This product can be private labeled and is made in the USA. Please visit www.qosmedix.com to place an order or to learn more about this product.